Earlier this week, we returned from our first visit to Kenya since initiating the Tana Delta Misinformation Project last month. Abhishek, John, and I made a brief planning visit to get things started and I want to share a quick update with everyone following our progress. The goal of this trip was fairly straightforward as we sought to get to know our partners and key stakeholders in order to start laying the groundwork for the next two years of work. Although having a lot meetings doesn’t sound very glamorous, this was actually a really exciting experience since we finally got to meet people in person who we’ve been working with from a distance for several months now. First up was a visit to iHub Research to meet our partners at one of the leading coworking spaces and incubators in Kenya’s technology community. We’re really glad to have them on board with the Tana Delta project and sharing their expertise in technology and ICT research. After checking out the iHub space, we sat down in a meeting room and spent the morning finalizing a lot of details of the project plan, really proving that you can say more and build a better relationship in a few hours in person than in a few months by email. Aside from a lot of logistics, we also finally settled on a less technical public name for this project, which will be branded as Una Hakika? (question mark intended), meaning “Are you sure?” in Swahili. There’s value in a catchy name since it will help with getting people engaged during the public information campaign part of the project, while Una Hakika? 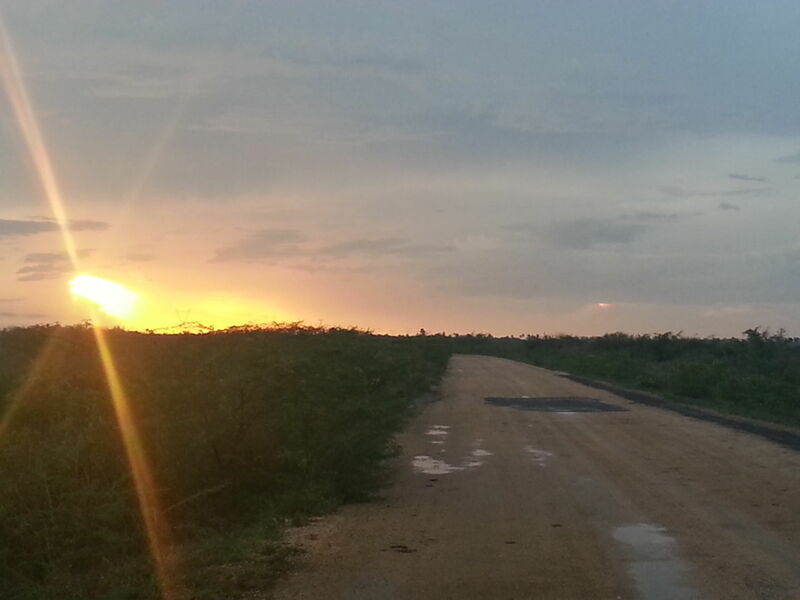 also links directly to our goal of encouraging more critical reactions to rumours amongst Tana Delta residents. Even the most exciting projects often begin in a meeting room, and this one is no different. 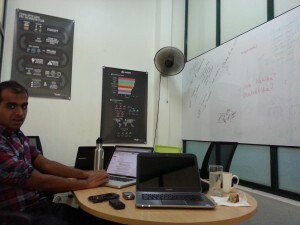 Here’s Abhishek during our meeting at iHub. After iHub it was time to head to the International Development Research Centre office in Nairobi and meet the people who are generously supporting our work in the Tana Delta. This meeting was also a first, since we’ve been collaborating from afar for more than six months but hadn’t met in person until now. Hopefully this is just the first of many such meetings in a long and productive relationship. With our work in Nairobi concluded, it was time to set out for the Tana Delta itself and start meeting with contacts both old and new on the ground. After a short flight to Mombasa and a long drive up the coast, it felt good to return to Tana and get settled in at our guesthouse in the town of Garsen. This began several days of visiting Orma and Pokomo villages impacted by ethnic violence and getting updates from community leaders on developments since the last time we were in the area. In addition to these leaders, we also made an effort to establish contact with government officials and other NGOs working in the area, which are relationships that will hopefully go a long way towards making Una Hakika? successful over the next couple of years as we seek to complement existing violence prevention initiatives. 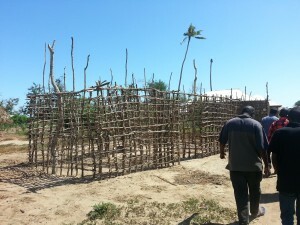 We met with the chief of Semikaro, a Pokomo village. Here we walk past a home being rebuilt after it was burned down during violence last year. If anything, this brief initial visit confirmed that we still have a lot of work ahead of us just to get this project up and running, let alone to keep it on course and having an impact over the next two years and beyond. Now it’s time to really get down to building a team, setting up the technical aspects of our reporting system, and engaging and earning the trust of the people living in the Tana Delta. Fortunately, it won’t be long before we’re back in the field for a longer visit in January and February. Keep watching here for more updates to come.